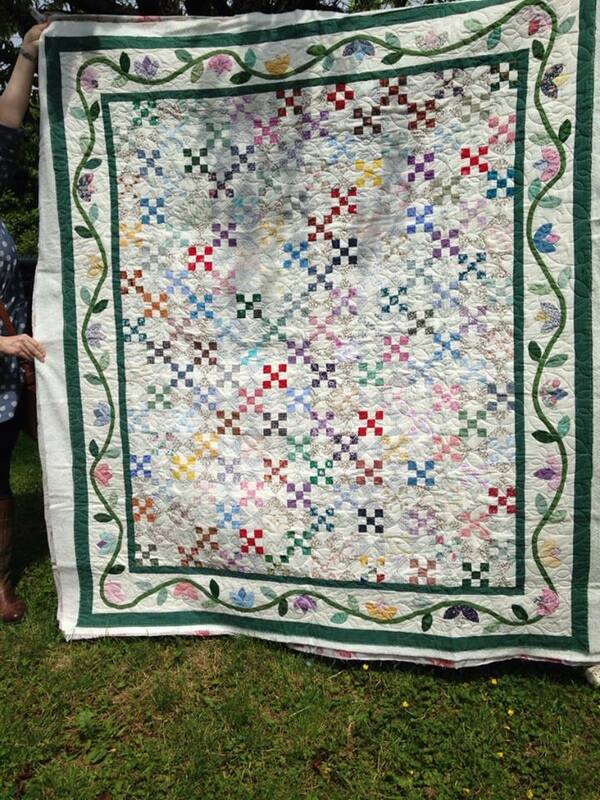 I am so happy about the way this quilt top has been transformed that I am grinning from ear to ear. 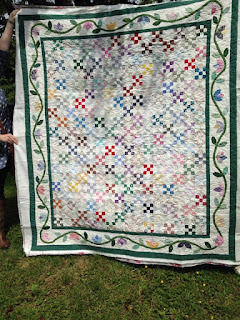 I made this quilt quite a long time ago, it has fabrics in there from clothes my girls wore, dresses I made them and myself, bits of Christmas fabric, all sorts of bits and pieces. I remember the appliqued border took me forever, all needle turned bit by tiny bit. Then it true style, once the top was complete I lost interest in it and put it away,even though I was very pleased with the way it looked I never got around the making it into a quilt. Every now and then I looked at it, but there was always something more important to start/finish. I amazed by the way it's been transformed, I cannot tell you how happy I am to see it finished. I WILL make the binding and I WILL finish it properly, it is my job for Monday where I will sit in my bay window with the radio, looking out over the fields and hand stitch all away around until its finished.